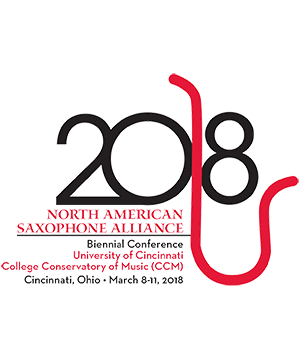 A recipient of the Concert Artist Guild and Pro Musicis Awards in solo performance, and the Michigan State University Beal Distinguished Faculty Award and Withrow Excellence in Teaching Awards, Yamaha and Vandoren Performing Artist Joseph Lulloff enjoys a prolific career as a saxophone artist and teacher. Currently Professor of Saxophone at Michigan State University, Mr. Lulloff has been featured as guest soloist with the Cleveland, Minnesota, Grand Rapids Symphony Orchestras, and Brevard Music Center Orchestras amongst others. Mr. Lulloff has concertized extensively throughout North America, Europe, South America and Asia, performing at notable venues such as Weill Recital Hall, Jordan Hall, the Smithsonian Institute, Carnegie Hall, Disney Hall, the Ojai Festival, the Moscow Autumn Festival, the KKL (Kultur- und Kongresszentrum - Luzern, Switzerland), and many other notable music halls and festivals. He has also served as principle saxophonist with Detroit, Grand Rapids, St. Louis, Minnesota, Cleveland and Chicago Symphony Orchestras. Yu-Lien The Piano Yu-Lien The has performed throughout the US, Europe and Southeast-Asia, including appearances at t . . .